Born from the sand and destined to roam the earth, the NOMAD DB8 is a tough, powerful, all-terrain dominating Desert Buggy based on the race-proven RC8 platform’s unprecedented balance and incredible cornering performance. 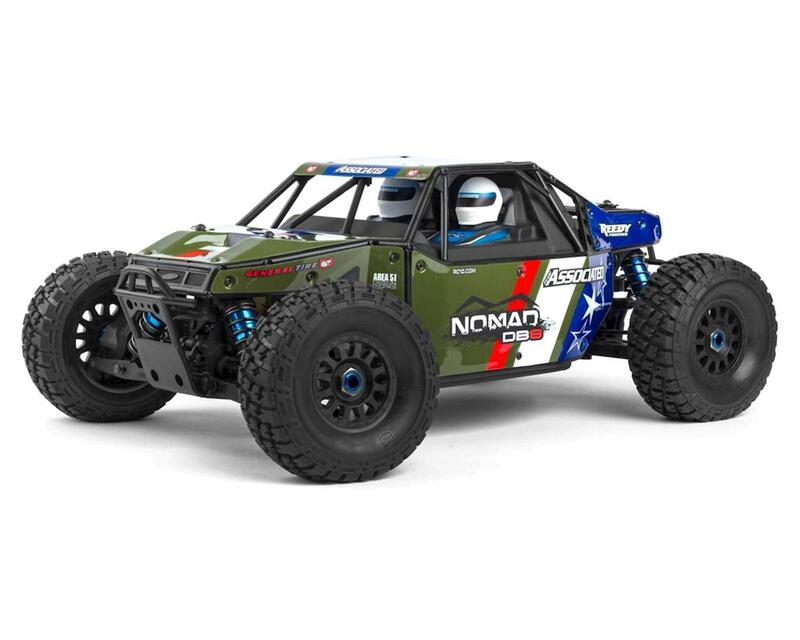 The NOMAD DB8 form follows function with a durable impact-resistant roll cage, detailed interior, driver and co-pilot figures, painted body panels, and runs off a powerful Reedy brushless motor. To tame the unforgiving landscape, high-grip General Tire GT Grabbers are wrapped around rich-looking black 17mm hex wheels. 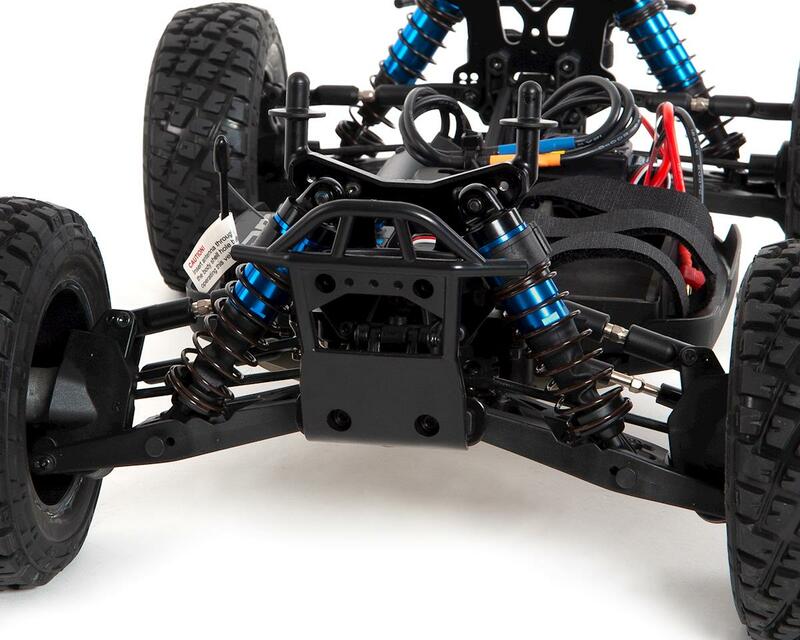 The Nomad DB8 uses a strong and efficient metal-gear 4WD drivetrain to send power to the ground. Managing that power are tunable front, center and rear fluid-filled differentials and Grabber tires. 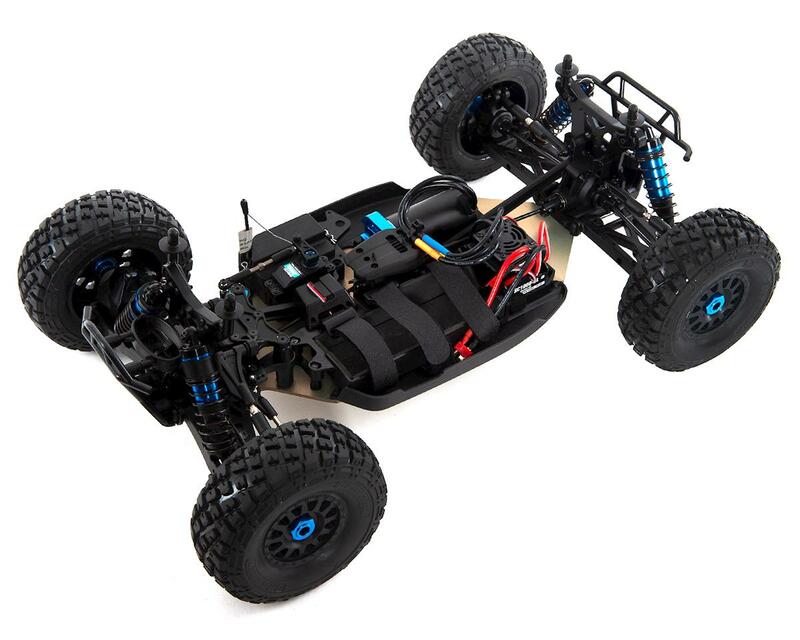 At the heart of this nomadic desert buggy are Team Associated’s XP and Reedy electronics. 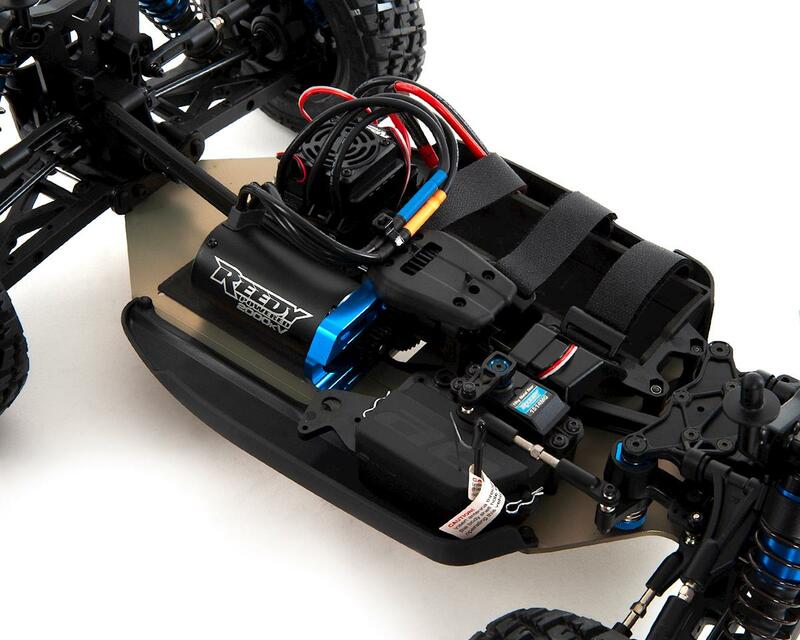 All are installed in the DB8 chassis, allowing easy access to the receiver, steering servo and the new 4s Reedy electronic speed control (with reverse). 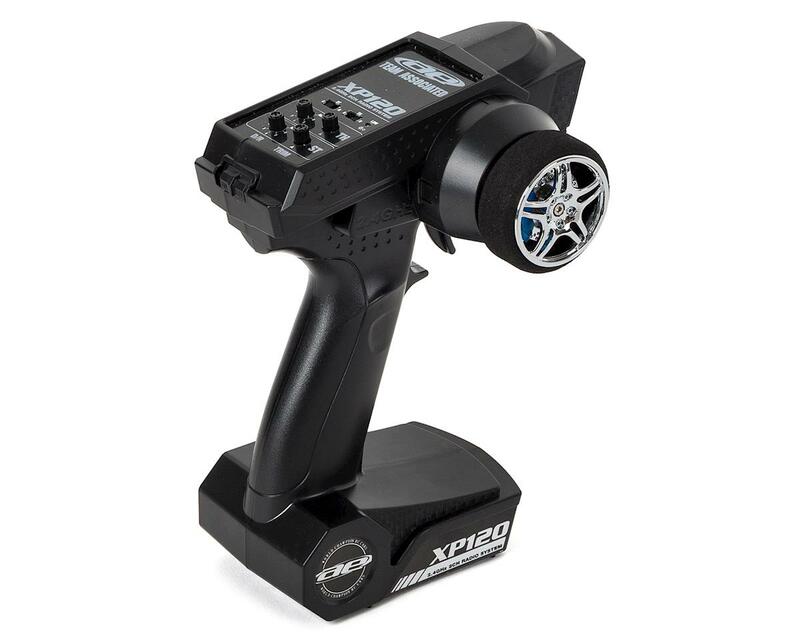 *Weight will vary depending on the type of battery installed, and Width and Wheelbase are adjustable. NOTE: The vehicle shown may not be an accurate representation of the body color/paint scheme you will receive. Paint schemes are selected randomly. 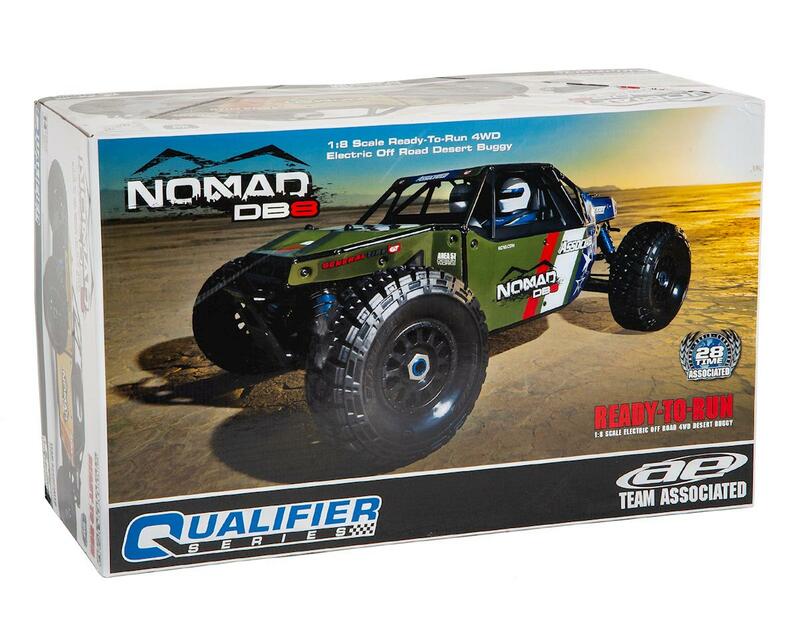 The Team Associated Nomad DB8, model ASC80941, is available in two different color schemes: Sand & Forest. If you would like a specific color, please contact our customer service department prior to placing your order and we will do our best to honor your request. Not 5 stars because out of the box it does more somersault then jumps and even though this is really cool it does mess up the body. Very sturdy otherwise. Switched out the servo and then the center diff went but hey it’s really really fun. Bought this Buggy and it rocks. Pretty fast running 4S. Happy with the quality and performance. Team associated support is really good. When you call them, they help you through the situation and get it fixed. I put the 15.2V reedy 4S in for the first run and this thing was ripn it up. I have done a bunch of upgrades. But the original kit condition is durable,quality and fast. I was happy with its initial performance. I would highly recommend this kit. 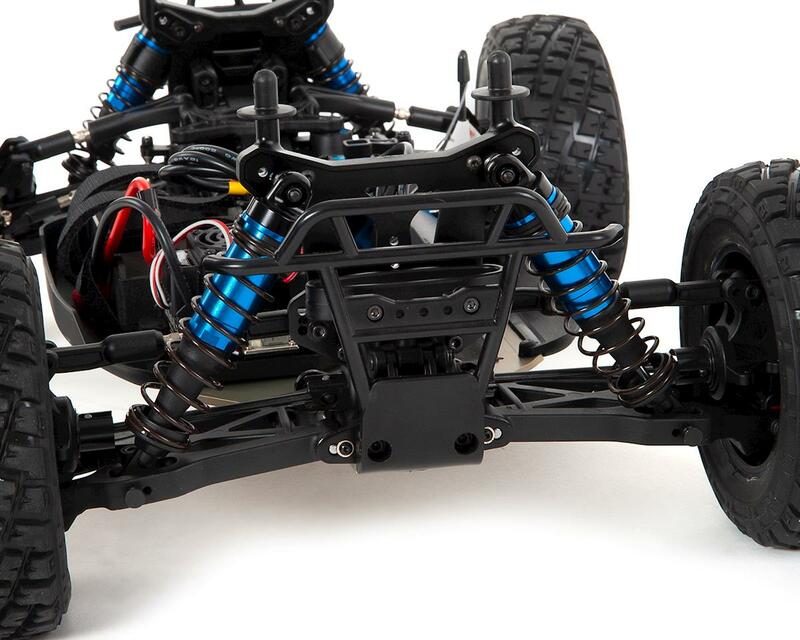 Plenty of upgrades and body options since it’s the RC8 platform. The kit came easy to finish setting up and was up in running in a very short period of time. Have had the buggy about a week now. I have to say overall, I am very impressed. For what it is it handles great, and is quite fast. The suspension is pretty spot on out of box. It takes hard crashes very well. My only complaint is that the center diff blew on the 10th battery pack. It wasn't shimmed properly from the factory. Thankfully this buggy is extremely easy to work on. I would recommend this buggy to anyone.